Welcome! 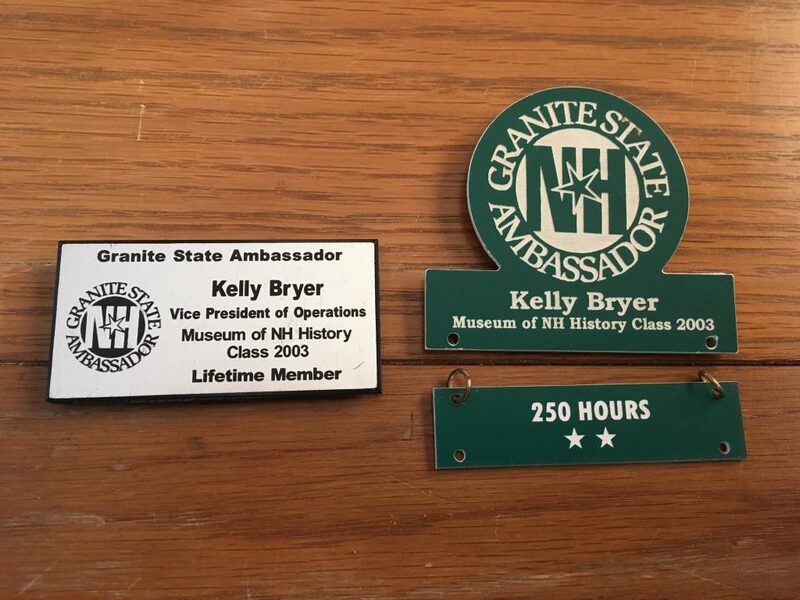 We are excited that you have chosen to give your time to the New Hampshire Granite State Ambassadors. Thank you! Click here to view a video tutorial of how to use our online calendar system. Please take a few minutes to watch it before signing in. It has some additional information that you may find useful. Your first ‘assignment’ will be to log into our Online Calendar and Communications System and update your Profile tab. Click the Sign-Up button from any page. When you log in the first time, the system will prompt you to change your password. If you forget it or have trouble logging in, we can reset it. Go to the MY PROFILE tab at the top. UPDATE your contact information. The email on file will be your username for logging in. UPDATE your Emergency Contact information with 2 emergency contacts (one that is not a GSA, and one that is your doctor). CHOOSE WHICH SIGN UP CALENDARS YOU WILL SEE. Scroll down to MY CENTER ASSIGNMENTS and check off 1 or 2 centers. We apologize we can’t make it not show the stuff you don’t need. Relevant centers will have [Official Visitor Information Centers\ after the center name. You will always be able to see Events, Meetings, Tours, Gatherings… no need to check these off. Go to the CALENDARS tab. Click on a date. View available shifts. Choose a date, time and location that suits you. Call 960-0272 or email Kelly at kelly@nhgsa.com to schedule your mentor shifts. This way Kelly can be sure you are expected and your mentor is available to train you. Once you have mentored 3 shifts at a center, you can click the SIGN ME UP button on any available shifts. 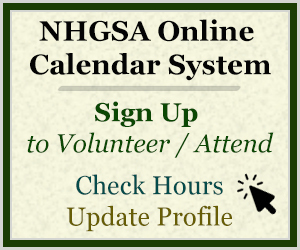 To learn more about available volunteer opportunities, visit our For Current GSAs information page at www.NHGSA.com/gsa and explore! The volunteer hours I’ve served aren’t showing in the online calendar system. Posted hours will be about 5 weeks behind. At the beginning of each month, your center manager will mail the tick sheets from the previous month to our office to be entered. One we receive all the centers sheets, we begin data entry which takes about a week. I want to go on a tour that requires 50 volunteer hours. I’ve served the hours, but they aren’t posted to my account yet. Can I still go? Yes! We go by what you have served, not what your file says. I’ve volunteered my first 50 hours. Can I get my free shirt and permanent badge? You can place your shirt order when you reach 50 hours from our merchandise page. Contact Kelly or Emily to get your coupon code to use in our store. If you already purchased a shirt and would like to use the $20 credit, we have a coupon code for that too! Orders go out in June and November, with spot orders in the middle. If we are placing an order and you are almost there, you can order your free shirt in anticipation of reaching your 50 hours. Badges are ordered in bulk and presented at our awards luncheon in June.